KC CARE offers STI testing, primary medical care, dental care, behavioral health, HIV medical care and support services, and health education and support. for the LGBT+ community in Kansas City. and prevention services in the KC metro. in the KC metro, including hormone therapy. and provides care for the uninsured on a sliding-scale fee basis. KCAVP is committed to providing domestic violence, sexual assault, and hate crimes advocacy and education to theLGBTQ+ community. mental health and wellness professionals. and best practices for professionals. cohesive LGBTQ+ community in the Midwest. PFLAG Kansas City offers help for lesbian, gay, bisexual and transgender (LGBTQIA) youth, their families, and communities around the topics of sexual orientation and gender identity. The City of Fountains Sisters are dedicated to spreading joy and light among our communities and bringing like-minded souls together in harmony. We espouse safe sexual practices and encourage everyone to know their status. We provide bar ministry, blessings and charitable fundraising aiming to spread our love and eradication of shame amongst our people. You can regularly see the Sisters out and about at community events, fundraisers and performances. Come and give us a hug! We love to meet new people and have new adventures. GLSEN works to ensure safe schools for ALL students, regardless of sexual orientation and gender identity. Much of our work right now focuses on training and supporting school personnel who wish to establish Safe Spaces for LGBTQ students in their school communities. We collaborate with other organizations that have similar missions to ensure safe schools for all students. With the help of volunteers like you, we will be able to expand our service here in the heart of America. We are a non-profit organization in Kansas City that aims to raise awareness of equality and diversity through community outreach and education. We are dedicated to partnering with and supporting local organizations that share our values, raise awareness, and create a positive dialogue for sensitive LGBTQ issues. 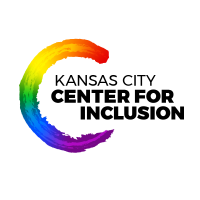 The Kansas City metropolitan area's organization for all faith communities that welcome and affirm the Gay, Lesbian, Bisexual and Transgender Community. Our organization helps to connect those ministries and persons that are currently affirming or welcoming as well as those congregations and persons who are working at becoming welcoming or affirming of all persons regardless of sexual orientation or gender identity. KC Passages offers LGBTQ+ youth in the greater Kansas City area a place to become strong, proud members of the community by providing a safe, hate-free space for individuals to express themselves. In addition, KC Passages offers educational resources not found in traditional classroom settings, along with volunteer opportunities to help KC youth become involved in the community. Synergy helps young people who do not have a safe place to live, and others experiencing family crisis, through a wide range of programs and services that help build resiliency and provide the necessary tools to heal and grow into healthy, productive adults. reStart offers youth housing services, including a youth emergency shelter, transitional housing, and permanent housing. Youth services in the shelter include youth and family counseling and therapy, life skills and financial literacy classes, housing assistance, substance abuse recovery services, health and nutritional education and activities, field trips and recreational activities, and more. PerformOUTKC is an education/outreach performing arts program for Lesbian, Gay, Bisexual, Transgender, Queer, Intersex and Straight Allies ages 13 to 18. Our purpose is to provide a safe and supportive place for youth to assist in the development of a positive image through self-expression. The mission of LGBTQIA Programs and Services is to provide Lesbian, Gay, Bisexual, Transgender, Queer, Questioning, Intersex, Asexual, and Ally (LGBTQIA) students with the support, resources, and education needed to become a full member of the UMKC campus community and the communities where they live. The purpose of Pride Alliance is to provide a supportive network, a positive social outlet, and a caring environment for lesbian, gay, bisexual, transgender, queer, questioning, intersex, pansexual, asexual, and ally communities within the University of Missouri-Kansas City. Kansas City's monthly magazine for the LGBT and Allied communities. The Tenth Voice is the Kansas City area’s only weekly broadcast created by and for LGBTQIA people in our community in the Greater Kansas City area and around the world online. Listeners can tune in each Saturday at 1:00 PM. Each week our team of hosts and producers present interviews, information, music, news and features especially important to Lesbians, Gay Men, Bisexuals, Transgender and Allied collective communities. Since 1989, The Tenth Voice radio show has documented and informed the LGBTQIA Kansas City Community. Vital VOICE Omnimedia is the Midwest’s premier LGBT informational source for a modern life/style. The mission of Transfinity KC is to express our voices and enrich the greater community through music. The purpose of Transfinity KC is to create an affirming and supportive space that inspires Trans people and allies to discover and share their voice. Values: respect, diversity, excellence, authenticity, and solidarity. We are here to preserve and promote the Leather/Levi lifestyle, serve the LGBT community in a positive fashion, and teach the world to be more accepting. The KC Pioneers has a very diverse membership. We accept all people with all kinds of kink, in unique relationships, from different generations and of course any sexual orientaion. Come check us out and explore your dark side. Drummer North America (DNA) rekindles the Drummer tradition of self-identified masculinity of gay men, at an annual family reunion where history is honored and diversity respected. The KC Bear Mafia was started in 2009 as a way to get bears in Kansas City together for fun and good times. Since then we’ve formed an Official side to the Bear Mafia in order to have a greater opportunity to build and bring better resources for the bears and our allies in the Kansas City metro. We seek to create a group that does not require dues from its members and for which there is no physical requirement.